Not disgust over the seemingly never ending requests for money, but disappointment that I cannot be involved in more groups in a more significant manner, is my feeling. For my money is me: my energy, my time. Where my money goes, there go I. And I want to be where help and healing take place in this world. How else can I be present to tortured political prisoners, heal rural Hondurans, and air condition my worship space? I have known people for whom the making and keeping of money is a dominant preoccupation, and I have known those who use their money, not for reaching out to others, but to control them. In both cases, I detect a shriveling of the spirit. I understand Jesus' frequent warnings about money and possessions. Early on I decided that, although I might have less than I want, I will always have more than I need. That gratitude for what has been, rather than regret for what is not, was to be the dominant thrust of my life. Still, at one time, money had an unusual power over me. I would have to drag my leaden feet and protesting mind to ask for money, even money for the church. Fortunately, abhorrence turned to discomfort which then turned to satisfaction. Now I find myself free to ask others for contributions. After all, I am offering others the gift of joy. With less money weighing a person down, one moves through life with more freedom and grace. The other person's raised eyebrows following that declaration doesn't deter me, for I know I am right. 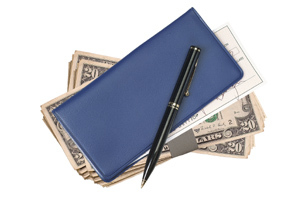 A 'converted' checkbook is the mark of a truly converted and committed life.